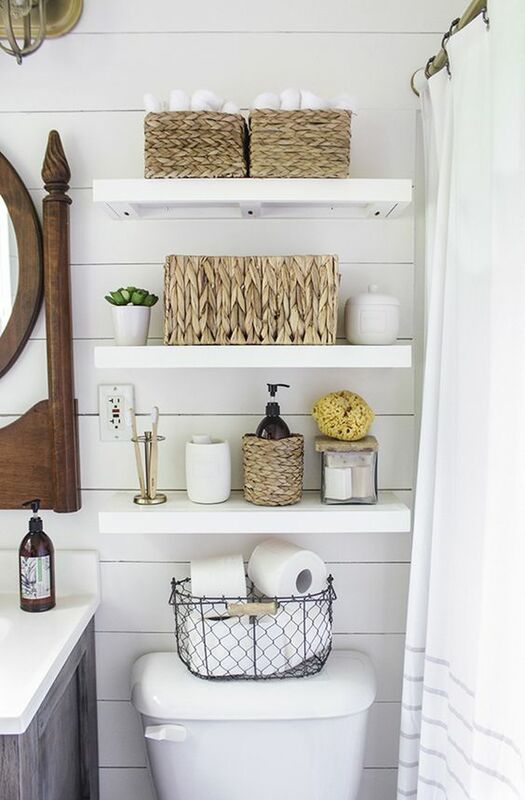 Shelves can help you make the most of a bathroom that is short on cabinet space. 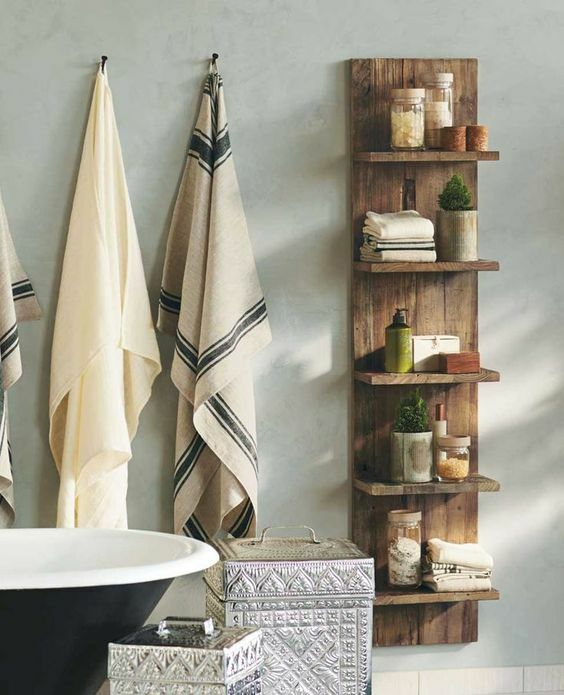 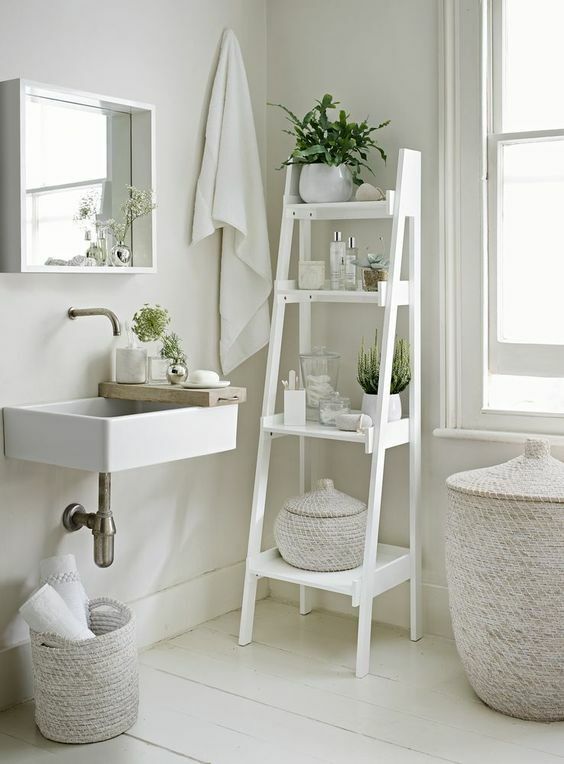 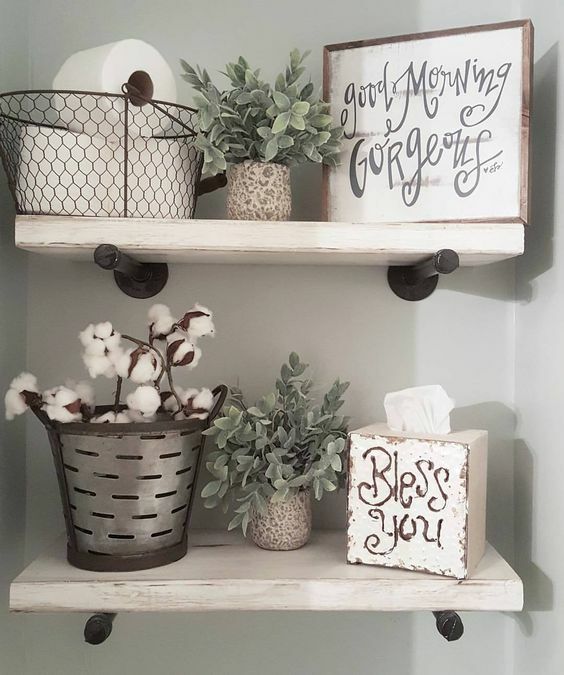 Open shelving is a popular home design trend and is even popping up in the bathroom! 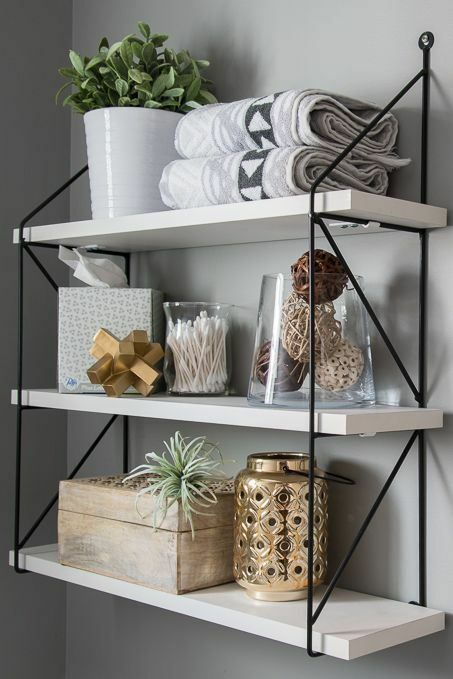 Take a look at a few of the ideas we’ve collected below for inspiration on how to style a shelf that’s as beautiful as it is functional!